The RISE institutes Innventia, SP, and Swedish ICT have merged in order to become RISE – Research Institutes of Sweden, a stronger research and innovation partner. Through its international collaboration programmes with academia, industry, and the public sector, it ensures the competitiveness of the Swedish business community on an international level and contribute to a sustainable society. RISE counts 2,200 employees who support and promote all manner of innovative processes, and its roughly 100 testbeds and demonstration facilities are instrumental in developing the future-proofing of products, technologies, and services. 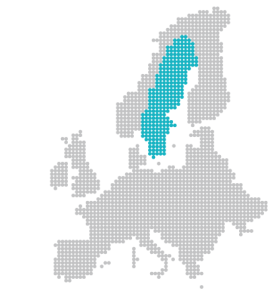 RISE Research Institutes of Sweden is fully owned by the Swedish state. RISE has participated in several EU projects on PCP and PPI developing a deeper understanding of procurements role in the innovations systems. During 2017 collaboration on capacity building and dissemination regarding PCP & PPI was developed with The National Agency for Public Procurement and Vinnova – Sweden’s innovation agency. RISE has a strong commitment in circular economy and waste management. RE:Source is a Swedish, national strategic innovation program hosted by RISE. Waste Refinery started in 2007 as a center of knowledge. Today it is a strong strategic network hosted by RISE. CLOSING THE LOOP – from waste to valuable resources is a research program for sustainable industrial recycling hosted by RISE. The ongoing second phase (2016-2020) includes six independent projects. In the Centre of Excellence CIRCULAR ECONOMY, RISE gathers the expertise needed to make a difference to the waste streams prioritized by the EU: food, plastics, critical raw materials, construction and demolition, and biomass and bio-based products. The competence area Resource recovery from WASTE includes research and technical evaluation in the fields of combustion technology, acoustics, building services systems, energy use in buildings and the indoor environment. The section Resource-efficient Systems and Services has accumulated knowledge, experience and expertise in areas relating to resource and waste issues, industrial energy, innovation processes and systems change. Resource recovery from waste is a group within the section, specialized in energy recovery from waste.